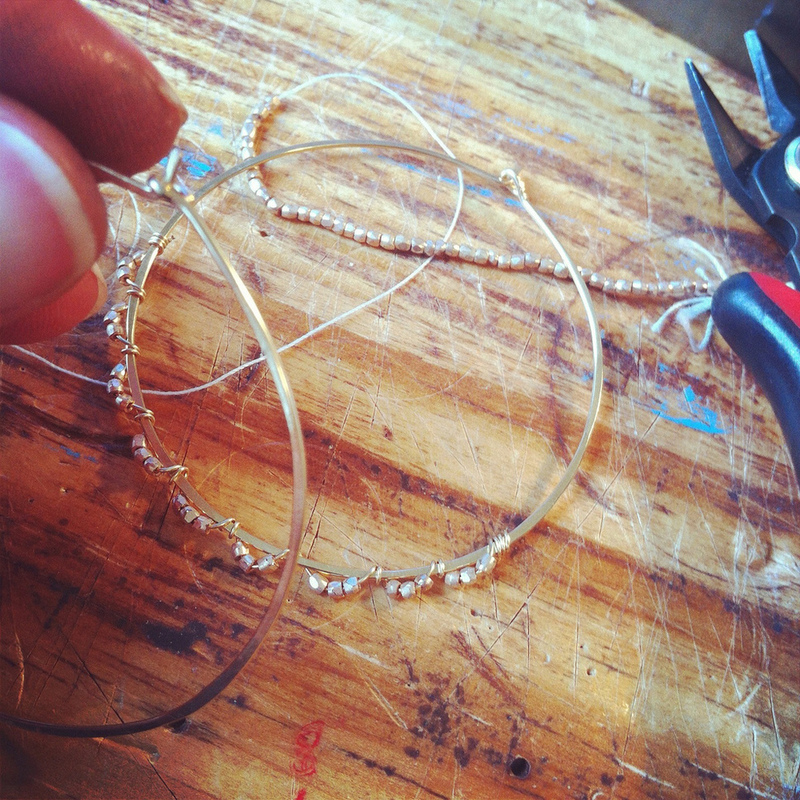 I’m often asked when and how I began making jewelry. While I’m certain that I made my fair share of macaroni necklaces, my first foray into jewelry design and assembly started as a freshman in college with a spool of fishing line, a bag of beads from a craft store, and a little imagination. From there, and as years passed, I graduated to sterling silver, gold, genuine gemstones, and advanced techniques. As I began giving my pieces as gifts to family and friends, I realized how much joy I found in the process of creating a piece specifically for someone in my life. The people, colors, and the natural materials that surround me are my inspiration. Ideas don’t always come at convenient times, so I often find myself sketching a design on the back of a receipt or Post-it note. Metals, gems, and crystals are selected for their beauty and quality. Whenever possible, I use ethically sourced, recycled, or reclaimed materials. These treasures are transformed into unassuming but beautiful pieces at my workbench with the hope that they'll soon be enjoyed by you. I believe that jewelry should not be fussy or overbearing and should be accessible to all. My pieces can be dressed up or down, be a statement or a signature, and should always reflect personal style.